PSB's CS IW SUB subwoofer and companion CS 500W amp will both be featured at the upcoming ISE 2019 show in Amsterdam. At ISE 2019 Lenbrook and its PSB brand will showcase the new CS IW SUB and CS 500W subwoofer and amp in Hall 15, stand number B236. After building a reputation for designing value-minded, high-performance in-room loudspeakers, PSB has turned its attention to architectural side of the speaker market. The new PSB CS IW SUB and companion CS 500W amplifier provide integrators a room friendly subwoofer solution. The PSB CS IW SUB subwoofer and CS 500W amplifier were developed after listening to its dealer base who requested a high-performing in-wall subwoofer. "The new PSB CS IW SUB subwoofer and CS 500W amplifier are a direct response to valuable feedback we had from the marketplace," says Joe de Jesus, custom installation product manager, Lenbrook International, owner and manufacturer of PSB Speakers. "Our goal was to deliver a quality LF [low frequency] solution, which is true to the PSB voicing philosophy, but designed with the professional installer in mind. Neither the CI [custom installation] feature set, nor sonic quality have been compromised." During the upcoming ISE 2019 show in Amsterdam, it will be previewing its latest subwoofer and rack-mount amplifier in Hall 15 stand number B236 as part of its show activities. In addition to showing the latest PSB products, Lenbrook will also highlight products from its Bluesound and NAD Electronics such as the brands' newest wireless whole-house audio products. 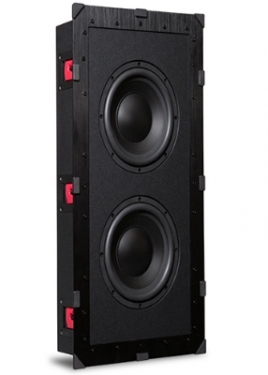 The CS IW SUB incorporates a pair of 8-inch woofers within an enclosure that includes a low-profile back box. PSB says the CS IW SUB is tuned to complement the company's line of in-wall and in-ceiling loudspeakers to help professional integrators create seamless immersive audio environments such as object-based surround sound home theaters. The CS 500W is a digital amplifier bundled with the CS IW SUB, producing 500 watts of power into a 4-ohm load. The amp takes up just 1U of rack space, and PSB says both products will be available to integrators in the summer of 2019.